My two sweet friends, Robley and Brad, were in town the week before the Inauguration and on the actual day. Since they were visiting, I knew we had to attend the actual ceremony. Our whole crew woke up bright and early Monday morning and layered up. It was cloudy and in the 30's and we were about to be outside for a LONG time. After a quick coffee run, we started making our way to the Capitol. Compared to 4 years ago, we got to the security line for our section quickly, but first we did some celebrity stalking! 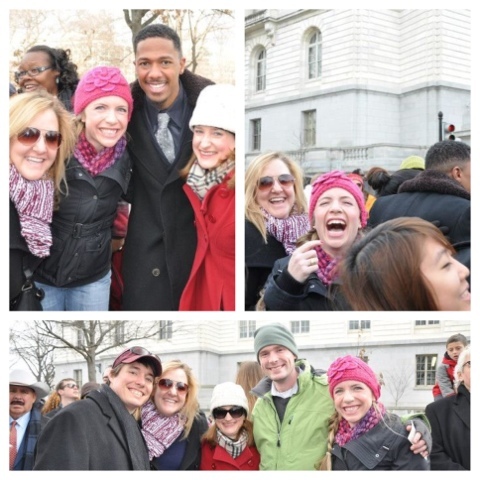 NICK CANNON with the ladies; me trying to grab Nick Cannon; our group! After about an hour of waiting in the security line we made it to our section. We had the prime seated spots, but by the time we got there all of the seats were taken. So we just wiggled our way up closer to the front and kneeled. 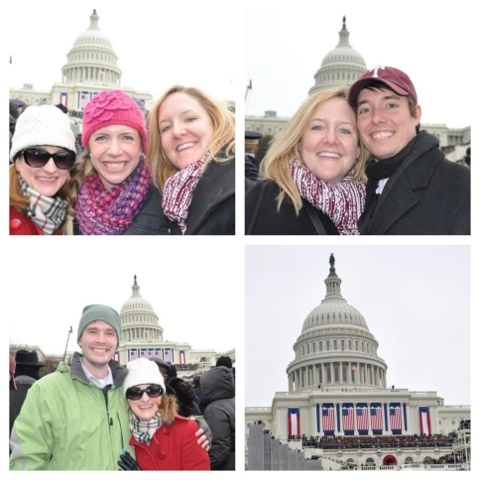 Four years ago I stood at the Washington Monument which is a mile away from the Capitol. I couldn't see anything. People were packed from the Capitol to the Monument again this year, and I was so happy I was not one of them this time. It was freezing, but I loved being there none the less. President Obama and I might not see eye to eye on a lot of things, but I was so thankful to be a part of the whole experience. I love living in DC and having the opportunity to participate in history in the making. Kelly Clarkson sang beautifully. I thought Beyonce was incredible until I later found out I was duped, and all around, I just enjoyed feeding off people's excitement. 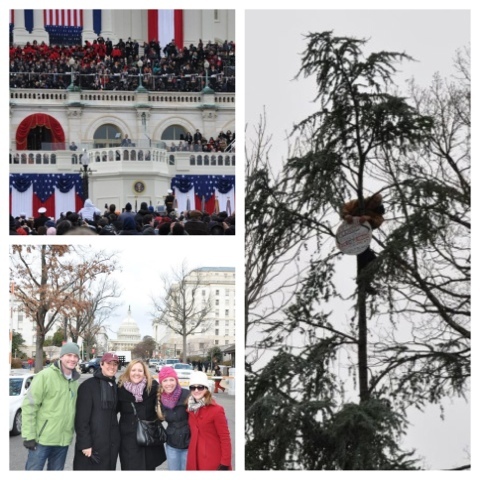 President Obama Speaking; Our group; A crazy tree-climbing protester. He was up there for like 7 hours or something. By the time the ceremony was over, our group was STARVING, tired of crowds, and ready to get warm. We spent the rest of the day eating, drinking, and celebrating being an American!